Un jour, leurs deux fils leur ont dit qu’ils voulaient voir du pays. C’est ainsi que Francisca et son mari ont commencé leur voyage, conscients que c’était important que leurs enfants apprennent à être ouverts aux autres. Lors d’un point d’étape, ils les ont laissé dans un pays où ils venaient de trouver leur premier emploi, avant de continuer leur route, en parents solitaires. "The world is far more better than what the media say. In more than 7 years travelling around the world with our bikes, we met 99,99% of beautiful people." 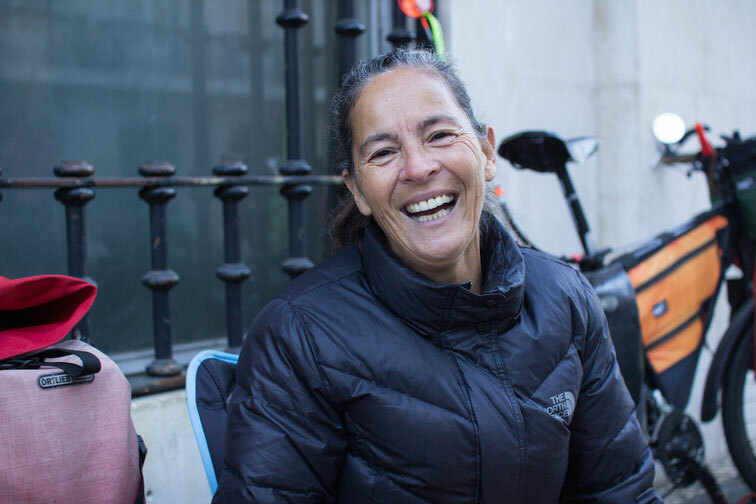 Francisca and her husband started their journey with their children because the two boys asked to see the world and their parents wanted them to be open to new people. At some point, they dropped the children in a country where they got a job, and kept travelling. "We began the trip in 2008 with the idea to make it last 2 years, but after Asia, we went to South America and then Europe. We couldn’t stop because this is wonderful to discover the world and its people through our eyes, as it really is."